The Sand Star is a new generation of sand tire design and technology, produced by one of the most innovative ATV tires in the business, ITP. Front Sand Star features a patent-pending "dual rib" design for unmatched steering control. Sand Stars are ideal for open sand dunes. They have a bright yellow Sand Star sidewall logo, and molded ITP logos right on the tire. 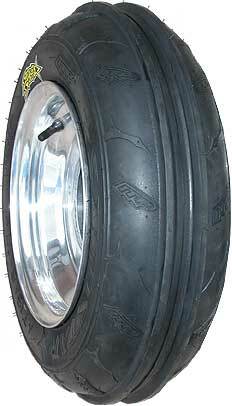 The tire itself has an extremely lightweight carcass, and special rubber compound. This delivers that ideal combination of flotation, flexibility, and cornering capability you demand in a sand tire. Sand Stars are available in 19", 21" and 22"!